Dreams do come true! 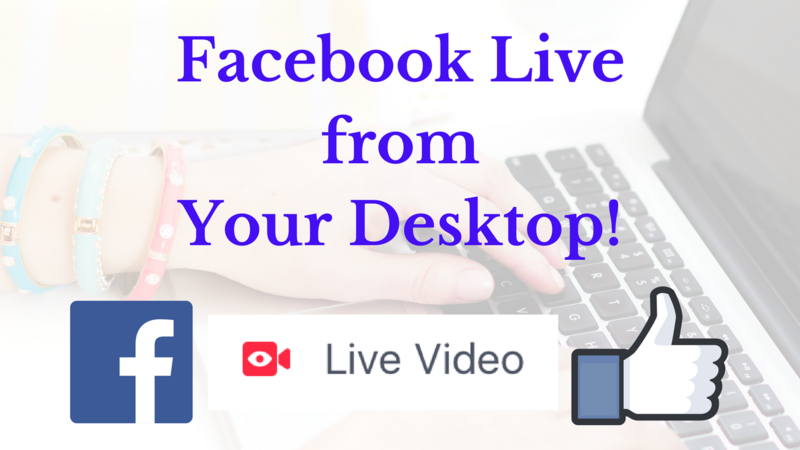 Facebook has started rolling out the ability to broadcast on Facebook Live via desktop! For many months, we've been able to livestream on the Facebook platform through our profiles and pages, but we needed to our mobile devices (phones, iPads, etc.) to do it. Or we could go live on our desktop by also using OBS (free) or Wirecast (not free). For me, that was less-than-stellar...too much trouble. Not a one-click process. And, just like I said, I took a nap today and when I awoke...I had the ability to broadcast on Facebook Live from my desktop via my page! 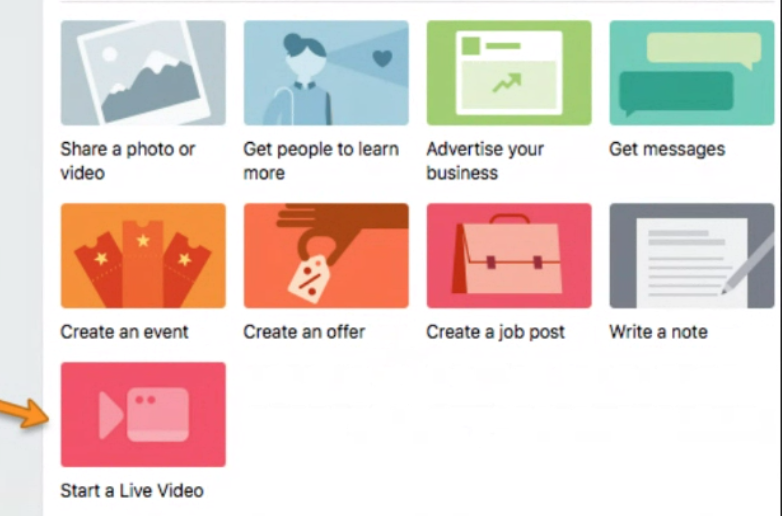 If you have the ability to go live from your desktop on your Facebook profile, you'll see the "Live Video" option sandwiched in between photo/Video and Photo/Video Album. If you don't see this yet, you don't have it yet. That's what you'll need to wait for and will awaken one day to find! Your PAGE (a.k.a. business page) looks different. On your page, you currently have colorful icons that you choose that allow you to create an offer, share a photo/video, create an event, etc. If you have the ability to go live on your desktop via your page, you'll have a "See More" at the bottom of these options. Click that and you'll find "Start A Live Video." Note: Don't be discouraged if it takes longer than you think it should or if your friend gets this feature before you do. In the past, Facebook roll-outs happen when they happen, sometimes profiles first, sometimes pages first, sometimes a bit of each...Be patient. Prepare your topic details ahead of time. You shouldn't have a script--this is LIVE broadcasting--but you should have a few bullet points written down to make sure you cover the valuable information you want. If you'd like to know more about live broadcasting to build your business, I'd love to help! Feel free to sign up for a 20-minute chat. Catch me on my livestreaming broadcasts--say hello when you log on and let me know you saw this blog!